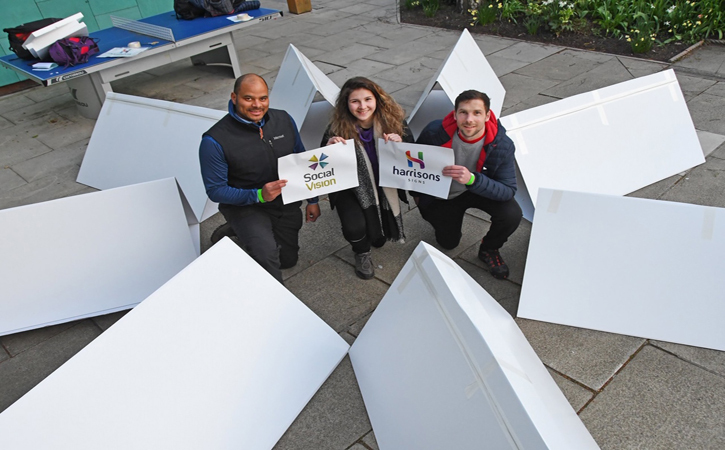 Home > News > Sleepout Success raises over £18,000! 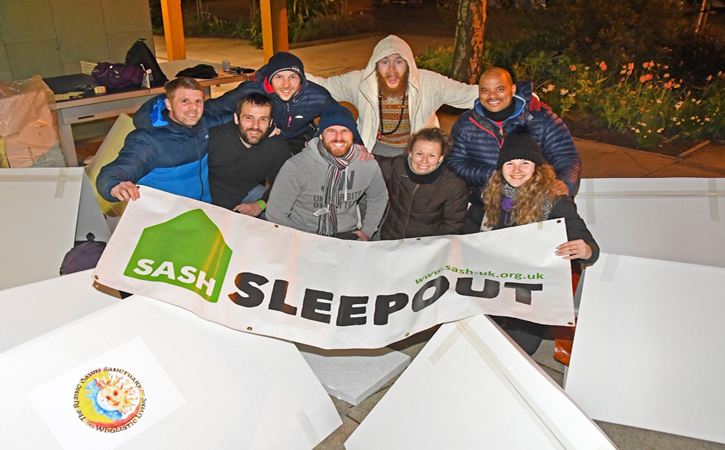 Last Friday night Peter, our Sales & Purchasing Manager swapped his cosy bed for a cardboard box to help raise funds for local charity SASH, Safe and Sound Homes. SASH is a youth homelessness charity that works across York, North and East Yorkshire, helping young people aged 16-25 who are facing homelessness. Pete, his partner and daughter joined a record 110 people who took part in the event, raising a staggering £18, 824!!! There were local businesses, individuals, families with children supporting the event. Pete said there was a wonderful atmosphere, a great buzz as people arrived, set up their shelters and met other supporters. 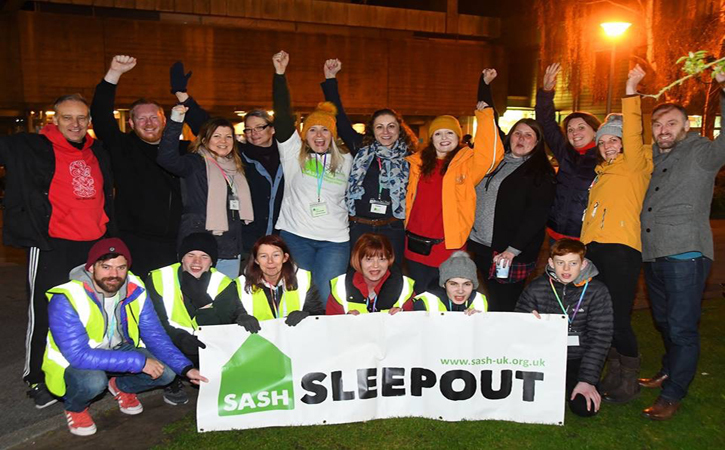 A mild night and no rain meant a lot of the Sleepouters were still wide awake at midnight, but by the early hours the temperature had dipped to around 2 degrees, resulting in a very early morning for some! 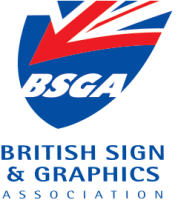 Thanks to everyone’s efforts, the charity far exceeded their £12,000 target. The money raised will go directly toward funding the SASH emergency Nightstop and Supported Lodgings projects this year.